Thanks Target John for your posts over the past season. I read most of the BB sites, and this one is the best. I've enjoyed everyone's posts and comments. I suppose in retrospect it was inevitable that Derrick would win since he is a master at getting people to do what he wants. Notice how in his goodbye messages he never said anything negative, and as a matter of fact, for Caleb's he used a phrase that Caleb used all the time- "At the end of the day...: Any psychology book will tell you that this technique of "mirroring" is a surefire way to get someone to like you. Love or hate Derrick, he is a champion manipulator and he's richer for it. So very glad Frankie didn't get AFP. I hope to never see him again polluting my TV screen. Thanks again to all of the authors at this site, see you next summer. I don't think that Frankie didn't make top three on America's Favorite Player. I think that there were backdoor schenanigans going on. 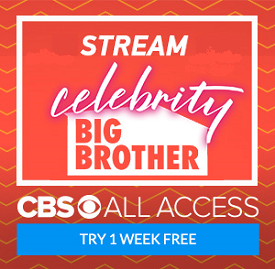 Think CBS saw the backlash that was resulting from their recruitment of a player with more fans than CBS has and made a private arrangement to give him his $25K but then make public announcement of second, third and fourth place winners, runner-ups instead. No way do I think with all the Ariana fans voting, that Frankie didn't make top three. Or top one. But - regardless of how or why - glad the award didn't publicly go to Frankie. His celebrity is wasted on an uber-narcissist. Frankie made me want to throw up. The entire season. It is extremely disturbing to know that ANY network would support the kind of crap that came out of that man's mouth. He is a disgraceful person.